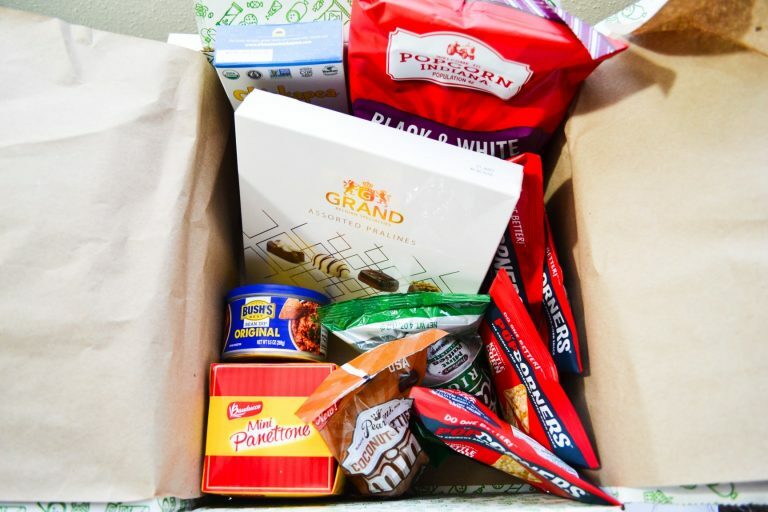 Degustabox is a monthly subscription box that sends 9-14 full sized food products to your doorstep. The boxes include a mix of items from popular brands, as well as some new food that hasn’t yet hit the shelves. And, not only do you get to try new food products, but you also save money! The cost of the box is lower than the total value of the food inside. 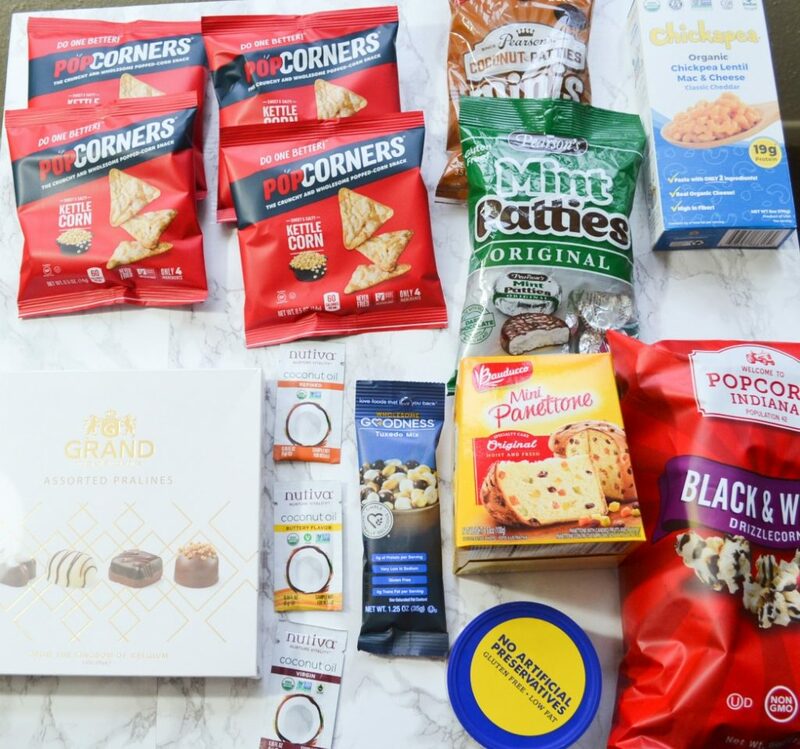 Each Degustabox costs $19.99, but you can use code FINDSUBSCRIPTIONBOXES7 for $7.00 off your first Degusta Box, as well as free delivery and a free bonus item. Today I will be reviewing November’s Degustabox. 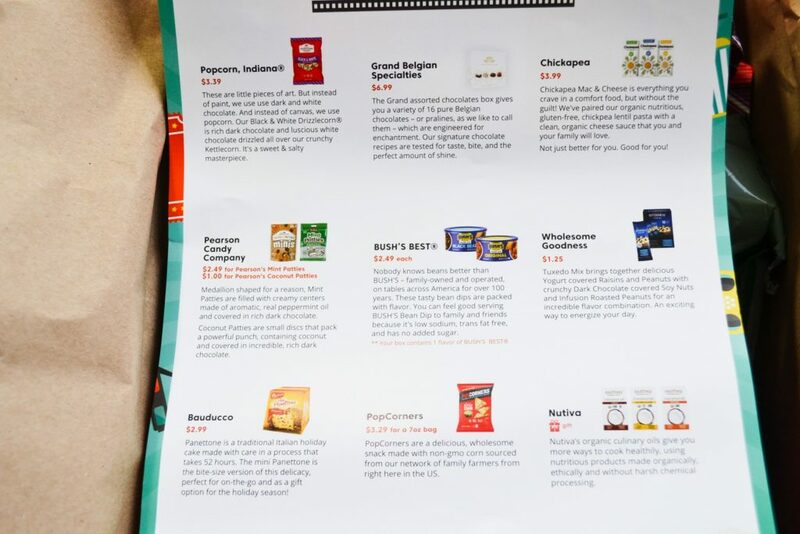 Degustabox always includes a sheet with information about each product. I love that it lists prices, so you can see at a glance if the box’s value is worth the subscription cost. 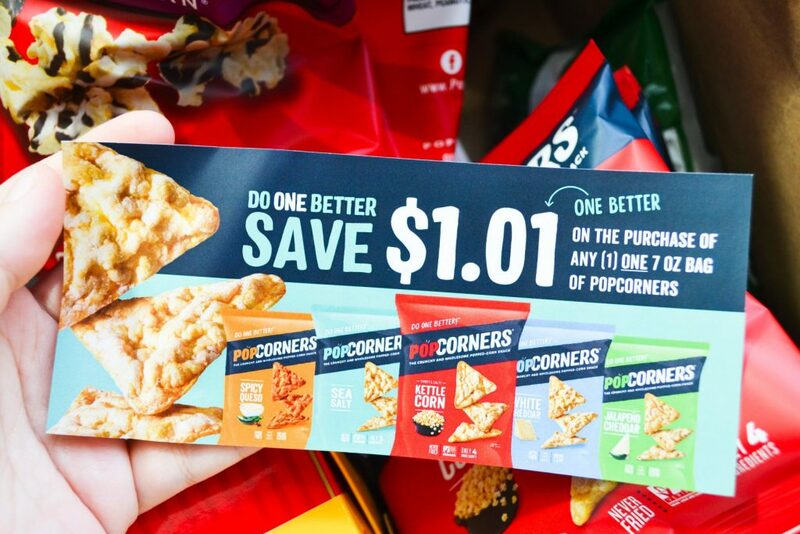 November’s box included a coupon for $1.01 off the purchase of any one 7 oz bag of Popcorners. Here’s a look at everything that’s inside November’s box! Wow, there was a total of 15 items and all of them are pretty large. I have to admit, I squealed out loud when I saw this in my Degustabox! I have a chocolate addiction, and these delectable morsels were just too good. 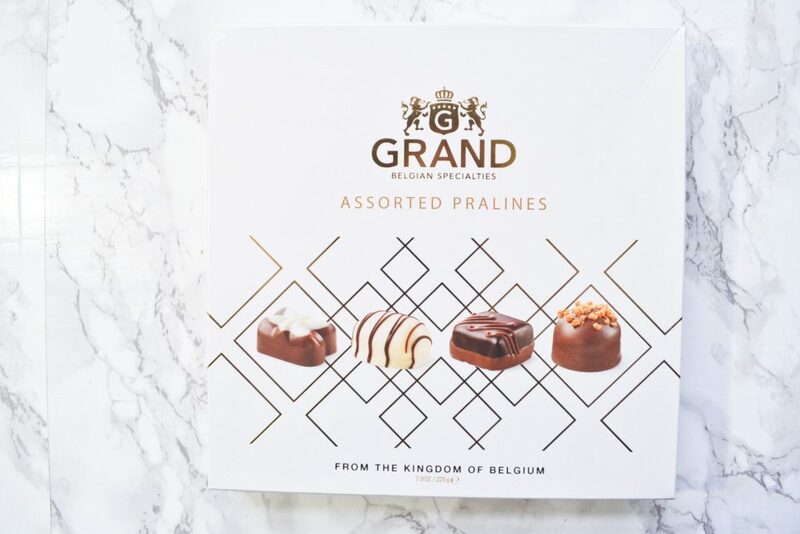 This box is filled with 16 different kinds of white, milk, and dark chocolate, each with various fillings such as caramel and mousse. Each one is absolutely beautiful! Even my fiance who hates chocolates couldn’t resist trying a couple. 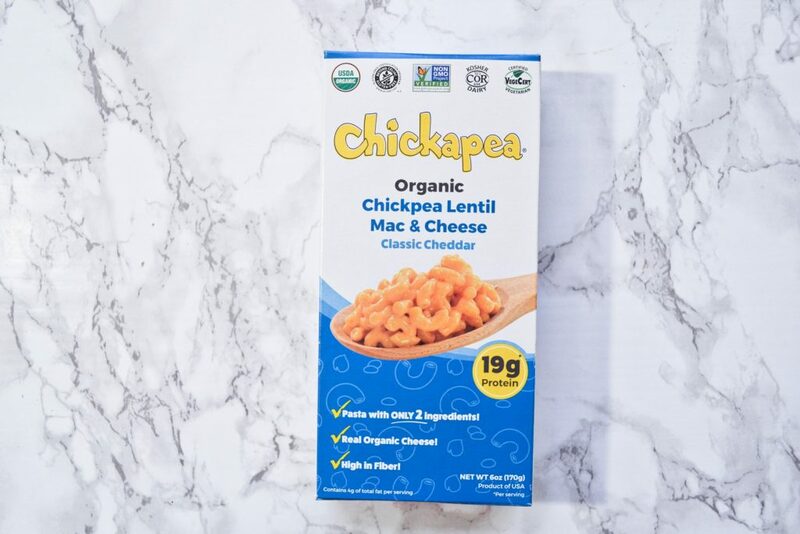 I’ve tried chickpea pasta before and really enjoyed it, but I just did not like this mac & cheese. The noodles tasted like wood, and the cheese sauce was sour and didn’t taste like cheese at all. I hate wasting food, but I had to toss this after eating just a couple of bites. This may be a matter of personal preference, but it was not an enjoyable product. 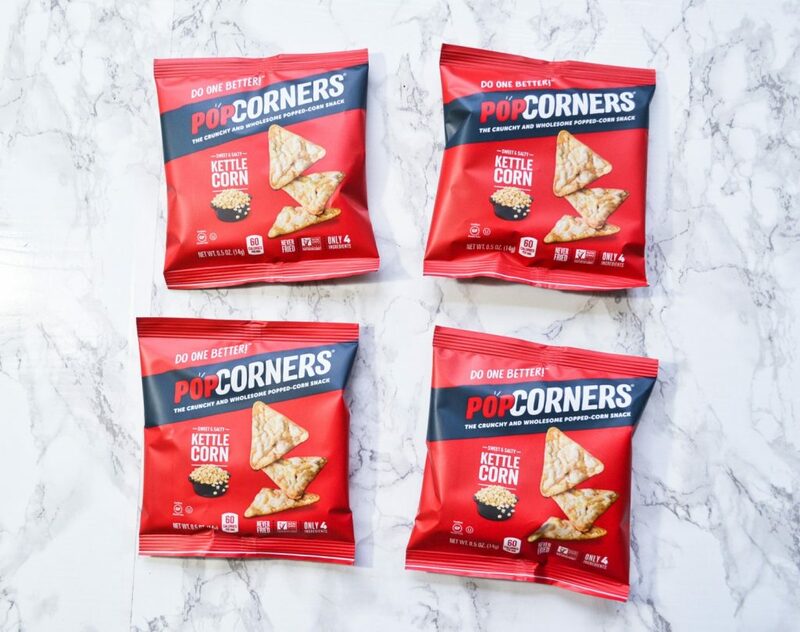 These popcorn chips are made from non-GMO corn and are only 60 calories per pack. 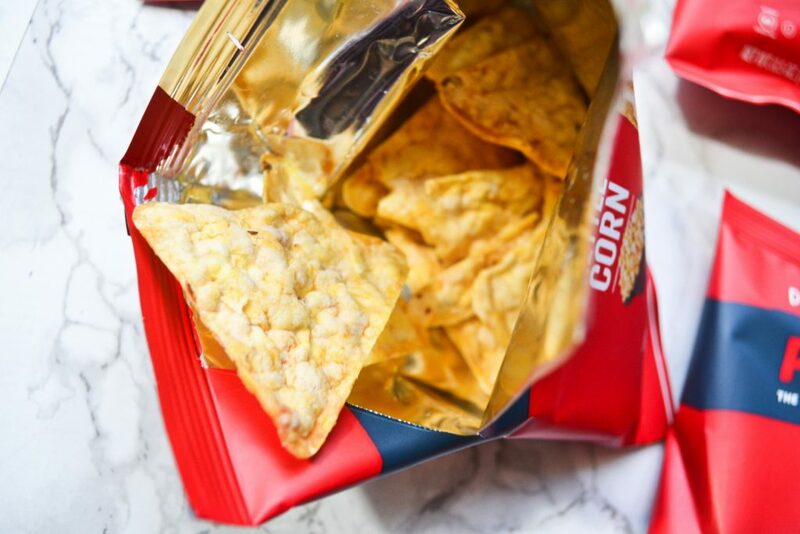 They are light and crunchy, and basically taste like kettle corn in chip form. 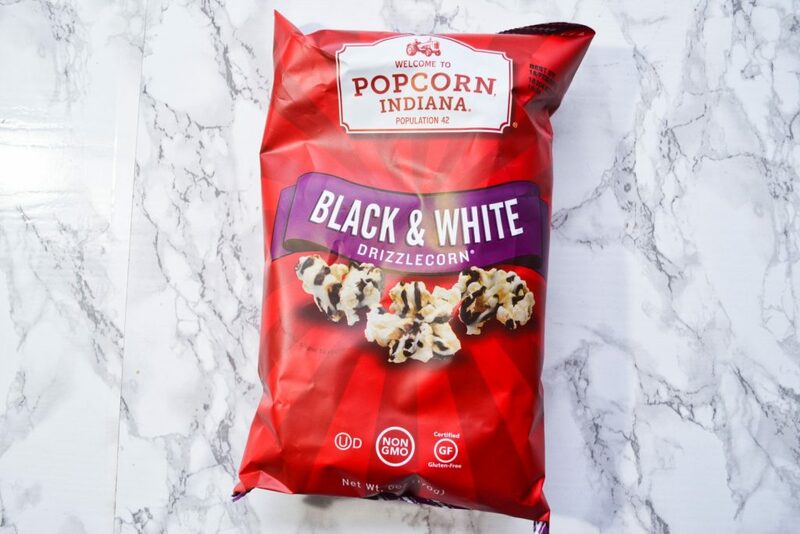 This is the third time I’ve received a Popcorn Indiana product in a Degustabox, and this one is definitely my favorite! 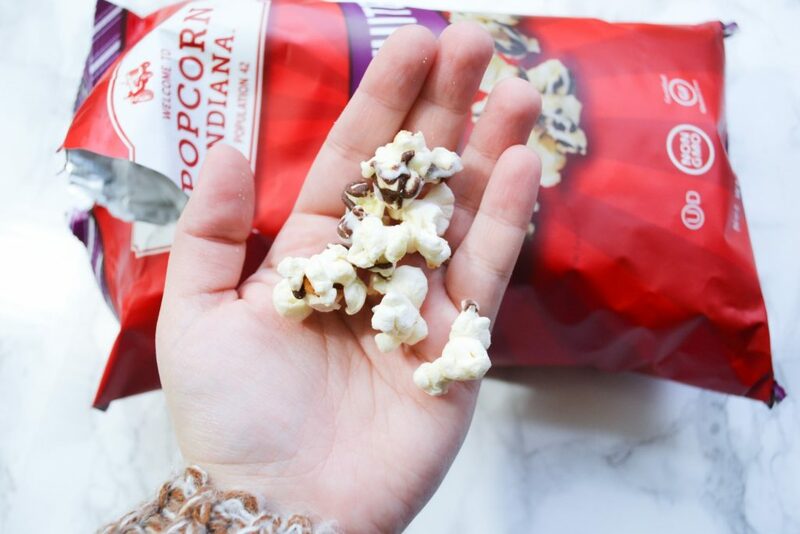 Fluffy pieces of popcorn are drizzled in white and dark chocolate. It’s the perfect mix of salty and sweet, and it takes serious self-control to portion this properly. This is one of the best Degustabox snacks I’ve ever tried! And, I really love that the bag is so large. 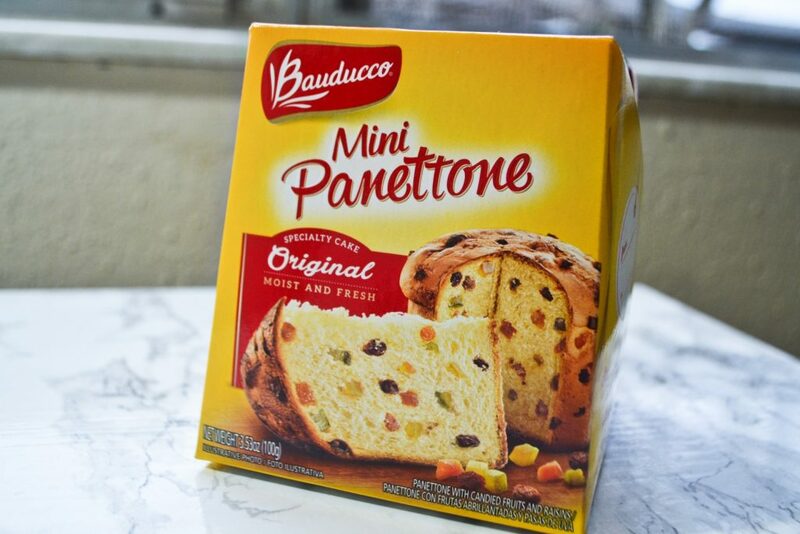 Panettone is a traditional Italian Christmas cake, which is moist and filled with candied fruits and raisins. I actually purchased this exact product from World Market last winter, and I’m glad to try it again! 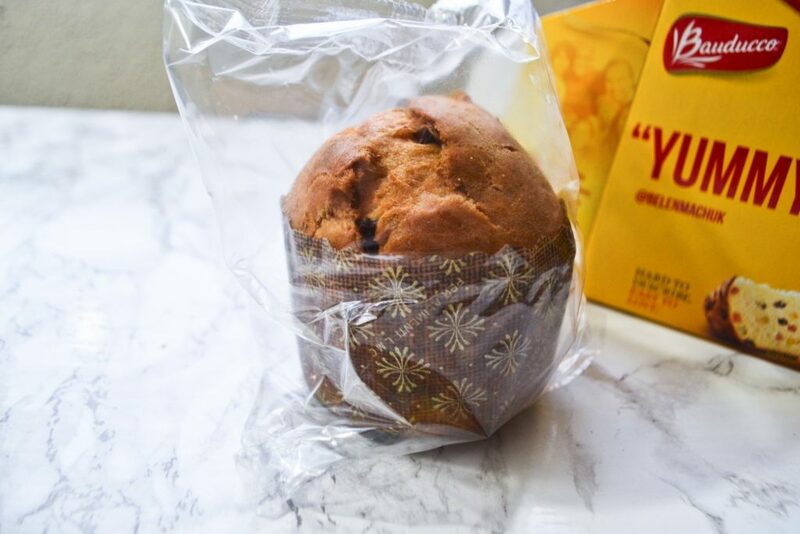 At first glimpse it may remind you of fruitcake, but it is so much softer and tastier. 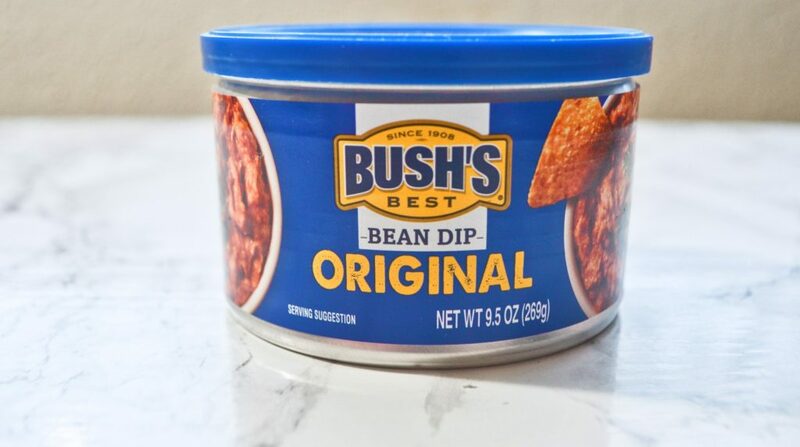 Degustabox subscribers received 1 flavor of Bush’s Best Bean Dip in November. I received the original flavor, but their other flavors are Cheddar Bean Dip, Black Bean Dip. This bean dip is a creamy blend of smashed and whole pinto beans, seasoned with serrano peppers and bacon. The whole pieces give it a nice chunky texture, and it is packed with flavor. This dip is perfect for eating with celery and carrot sticks! These patties are gluten free, and so flavorful! 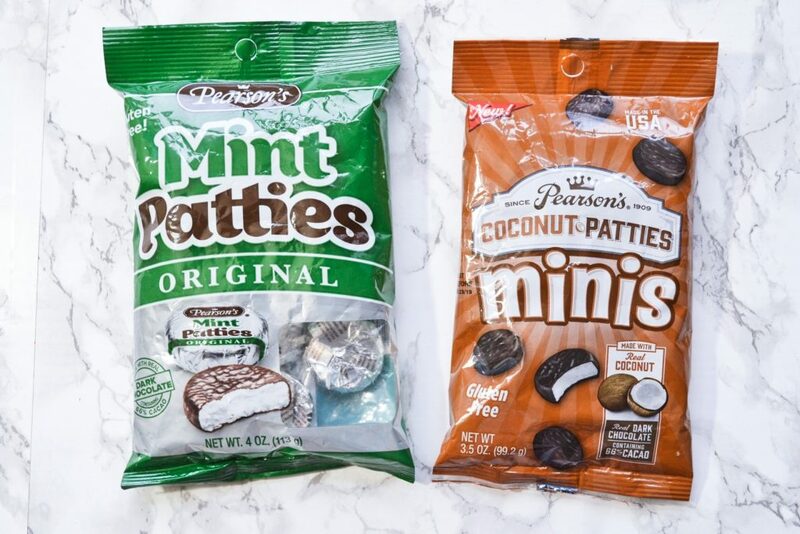 The Mint Patties have a filling flavored with real peppermint oil and are covered in dark chocolate. They taste even stronger and mintier than Junior Mints – which is good or bad depending on how much you like the taste of menthol. 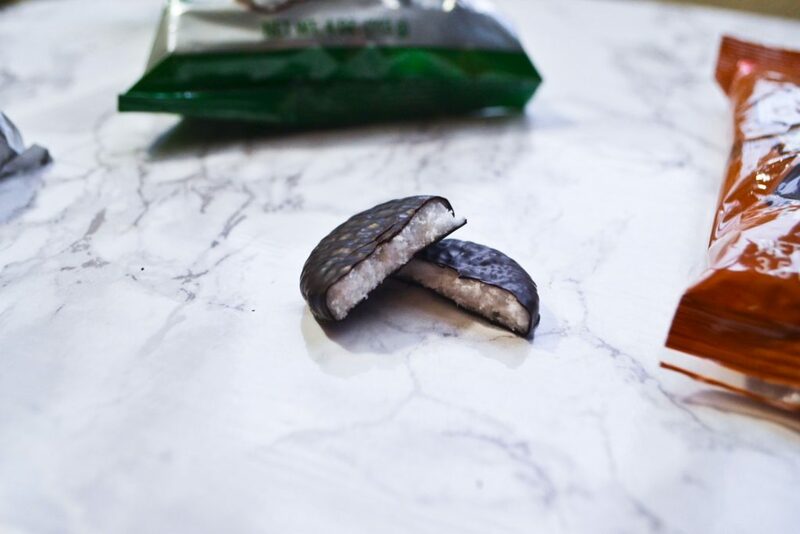 The Coconut Patties have a real coconut filling, and are also covered with dark chocolate. They have a nice mellow flavor, and I prefer them over the Mint flavor. 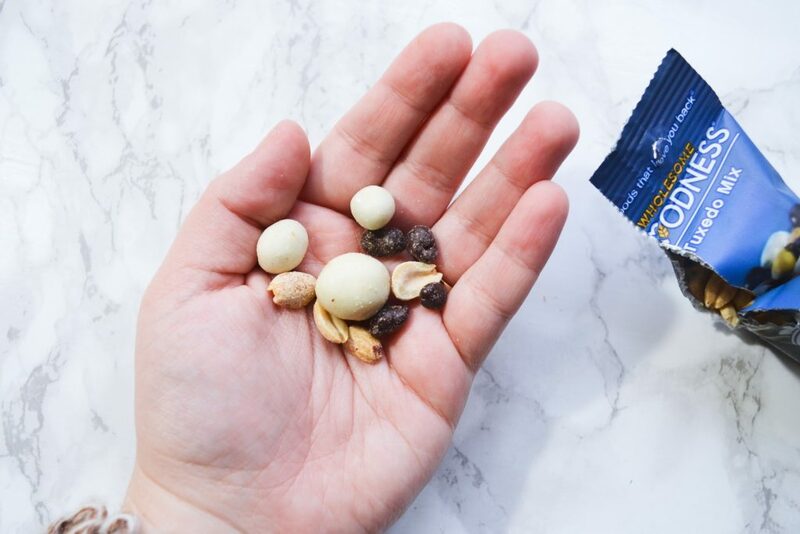 This decadent trail mix is made with yogurt covered raisins, peanuts, and dark chocolate covered soy nuts. I can’t eat very many peanuts without my throat swelling a bit, so I only ate the raisins and soy nuts. 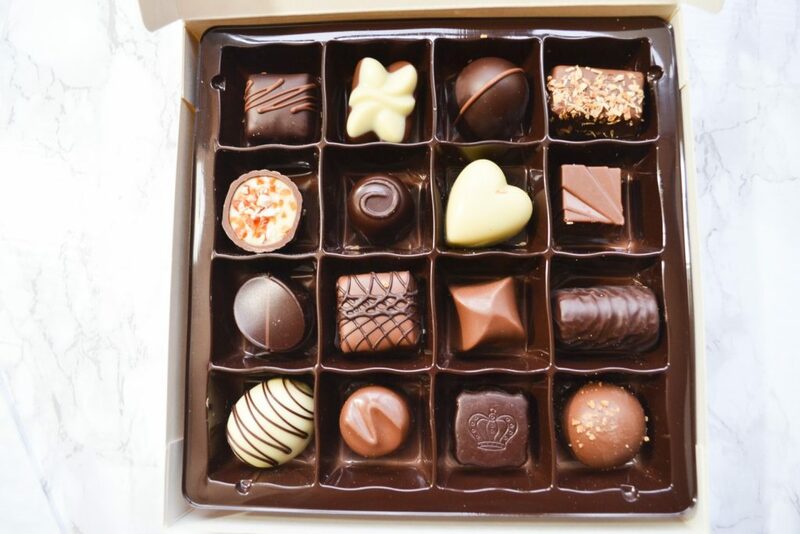 This box is really appealing to my sweet tooth! 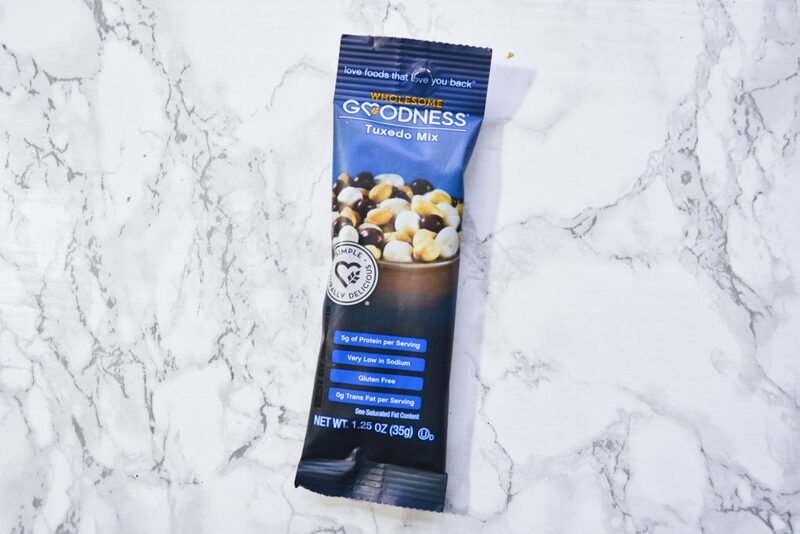 This mix gave me a bit of energy and a little sugar boost without being a guilty snack. 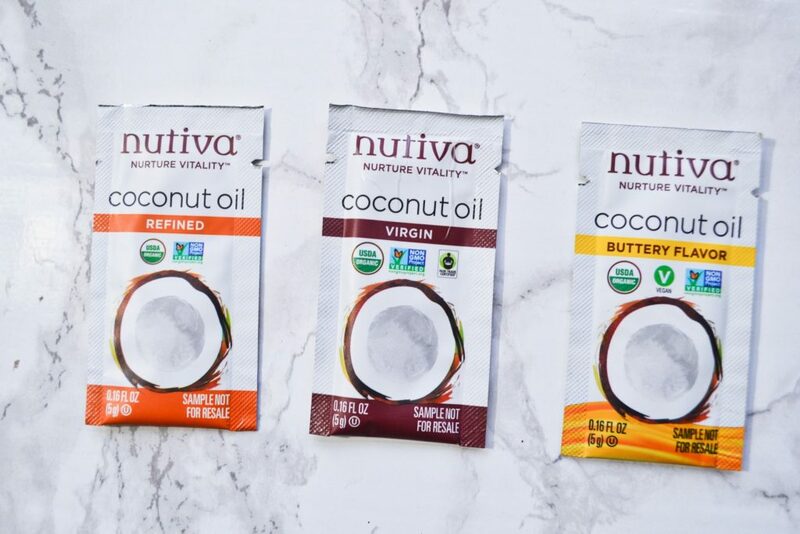 Degustabox listed these as a gift item, and you can actually request free samples of these items from Nutiva. So, I do not think these add any monetary value to the box – regardless, they are still a nice addition! I have a big jar of virgin coconut oil at home, but I am excited to try out the buttery flavor. These Coconut oil variations are made ethically, organically, and are free of harsh chemical processing. November’s box feels like it was made for me! With the exception of the Chickpea Mac & Cheese, I loved every product. This month definitely catered to people with a sweet tooth; if you prefer savory snacks, you probably wouldn’t have enjoyed it much. However, Degustabox switches up their theme from month to month. Degustabox is a great way to try out new snacks, while saving money! November’s box is worth $25.99, which is more than the cost of the box. You will also get additional savings if you use code FINDSUBSCRIPTIONBOXES7 for $7 off your first box, plus free shipping.